Chester Racecourse two Polo tournaments on the Roodee every year. The brief was to make Polo appeal to the family market. Due to the lack of imagery to represent this, I took an image led artwork style and created a more relaxed and fun feel. 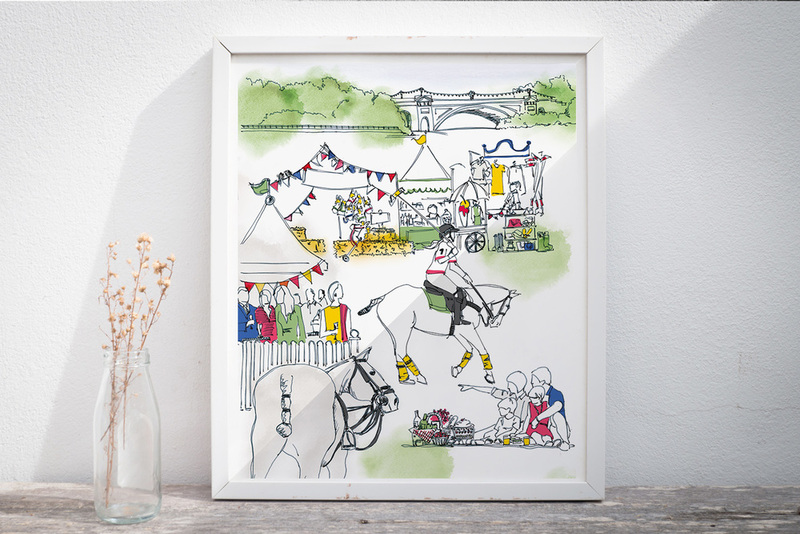 I hand drew the different images of the polo in black ink; the horses, the hospitality tent, families enjoying picnics etc. These sketches were scanned, then arranged and colour added in Photoshop. I decided to use a reduced palette of colours, to keep the design from looking too cluttered and not to take too much away from the inky lines. The Polo Lorries also had a refresh and added the new 2016 Sponsors onto the sides, as well as the refreshed Polo log; silver crown with a sanserif copy. Click here for the Polo Journal page.